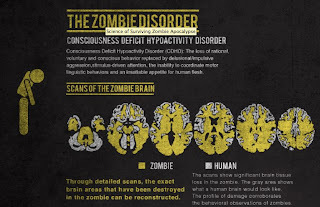 Oscillatory Thoughts: Zombies (and me!) at the California Academy of Sciences NightLife! Zombies (and me!) at the California Academy of Sciences NightLife! You like zombies? Of course you do. You like science? Who doesn't?!! Well this October 27 the California Academy of Sciences will have yours truly giving a talk at their ever-so-popular NightLife event! 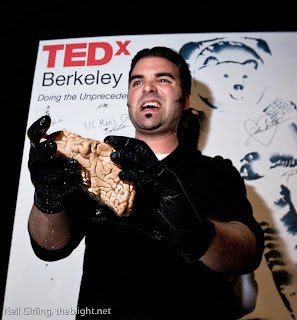 I'll be bringing real human brains for a hands-on neuroanatomy demonstration! Seriously this is going to be a lot of fun: there will be a zombie drag show and costume contest, undead makeup artists, demos of the new zombie video game hotness Dead Island, and a special planetarium event about "zombie" stars. Can brain trauma cause cognitive enhancement?